Do you know where your food is grown? When you tuck into that pitaya bowl surrounded by fruit, do you know which ‘rock star’ farmer harvested it for you? 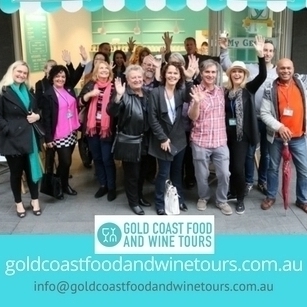 The Tweed Coast is part of the food bowl surrounding the Gold Coast, with the area’s food production, café and restaurant industries increasing in interest to locals and tourists alike. 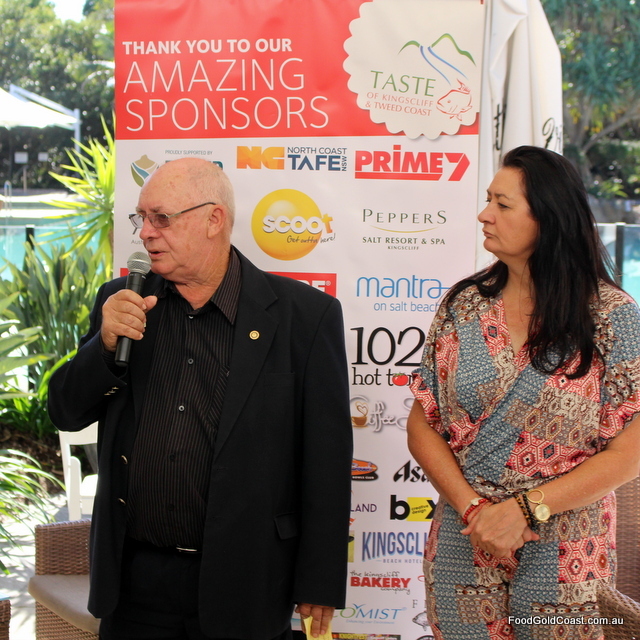 Taste of Kingscliff and Tweed Coast is an annual event (8 – 17 July 2016) that showcases the amazing produce of Kingscliff and the Tweed area. 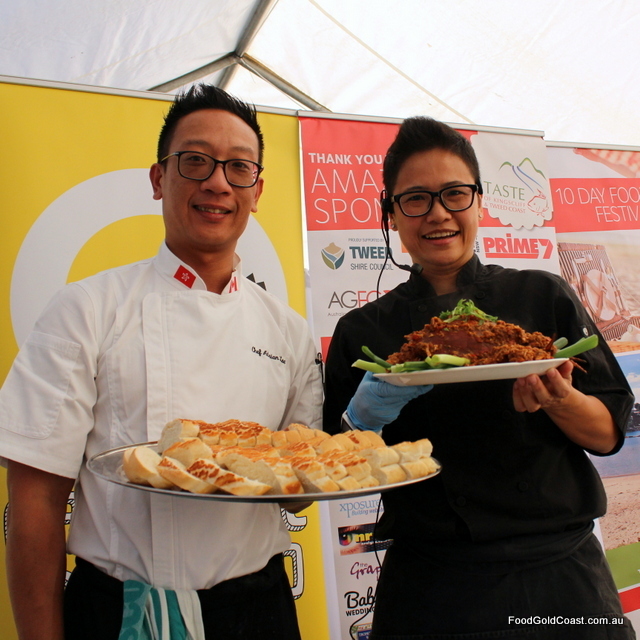 The festival promotes skill development, boosts small business, and facilitates connections with Asia through the influence of Hong Kong and Singaporean guest chefs and bloggers who attend the festival. The 10-day program of events includes farm and food industry tours, cooking classes, dinners as well as a number of free events including the two-day [email protected], held on the green at Salt Village. Featuring about fifty stalls this year, the event drew thousands of people to enjoy delicious international food in the park. 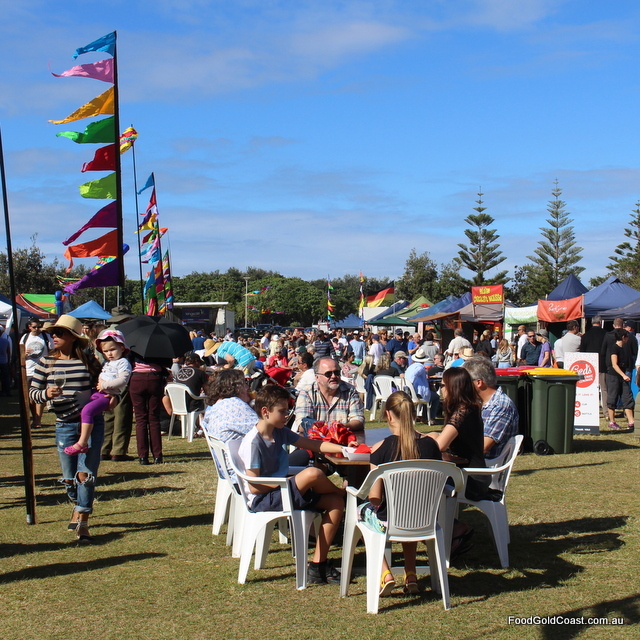 Sunny winter’s days and live music helped families enjoy the food on offer: smoked BBQ ribs, sugarcane juice, eclairs and pastries, buckwheat pancakes, with several wine, beer and a local gin producer boosting the celebratory spirit. Alice Gorman, journalist, comments on the Scenic Rim. 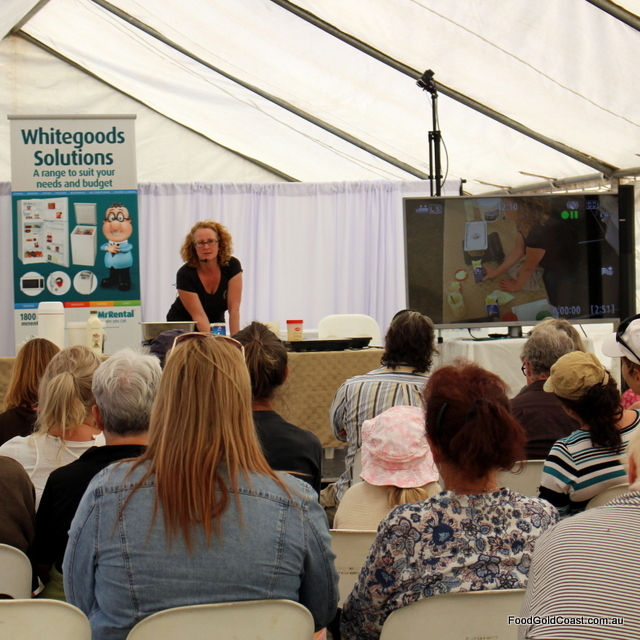 During the [email protected] weekend we met some growers and food producers whose stories we’d like to share. 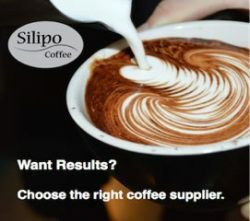 Many of their products are available on the Gold Coast, otherwise take a short trip down to the Kingscliff or Murwillumbah markets to meet them and purchase their produce. We’re used to seeing farmers on Landline or Farmer Wants a Wife, but the festival brought us closer to farmers, their passions and challenges. Sustainable production was a consistent theme of producers who spoke about their work. Tweed’s primary crop has traditionally been sugar cane, as well as banana growing. What most of us did not know was that the region’s agriculture had undergone a major threat, overcome only by sustainable farming practices. Festival Director Jayne Henry introduced us to cane farmer Robert Quirk, who told us how a major fish kill in 1987 led the region’s farmers to band together to solve the problems of the soil acidity of the region, caused millenniums ago when sea water covered the land. With ten PhD studies following, farmers pursued sustainable farming practices as a way to balance soil profiles and save the region’s agricultural industry. Tweed was the first region in Australia to have their sugar certified as sustainable, a marvellous achievement! You can buy Tweed sugar as ‘Sunshine’ sugar at Aldi or under the Home Brand label at Woolworths. As cane became less profitable, farmer Doug Patten planted more sweet potatoes, a crop he’d always grown. Doug’s family is now one of the biggest sweet potato growers in Cudgen, the second largest sweet potato growing region in Australia. Although there are about 700 different varieties of sweet potato, we only consume a few. Doug emphasised the health benefits of sweet potatoes: they’re low GI, and a great vegetable for all age groups. Ranked by the CSPI as the highest nutritional value of all vegetables, the sweet potato’s score came in at over double that of any other vegetable, Doug told us. Doug makes his own fertiliser from cane mulch and council waste and lime to spread on his paddocks. It’s important for the general public to branch out and try different varieties, he said, including the white-fleshed Bonita, which mashes well, makes a great baked potato or gnocchi and is very low GI. A geologist by profession, Paul Messenger fell in love with rum on a six-year-long stay in the Caribbean. ‘Why aren’t there more varieties of rum made in Australia?’ he wondered. After gaining a liquor-making licence on his return to Australia, Paul planted cane on his beef cattle farm and set out to make agricole (paddock-to-glass) rum, hand cutting his own sugar cane and making his own yeast. It only took him six years as a rum distiller to realise why there were only a few distillers in the country! Coincidentally, however, his project coincided with an increased interest in distilled spirits. In high demand, the next release of Husk Virgin Cane Rum will be in late 2016. In the meantime, Paul developed a premium gin made with 14 botanicals that include a mix of traditional and Australian natives. Unlike rum, gin does not need to be aged. 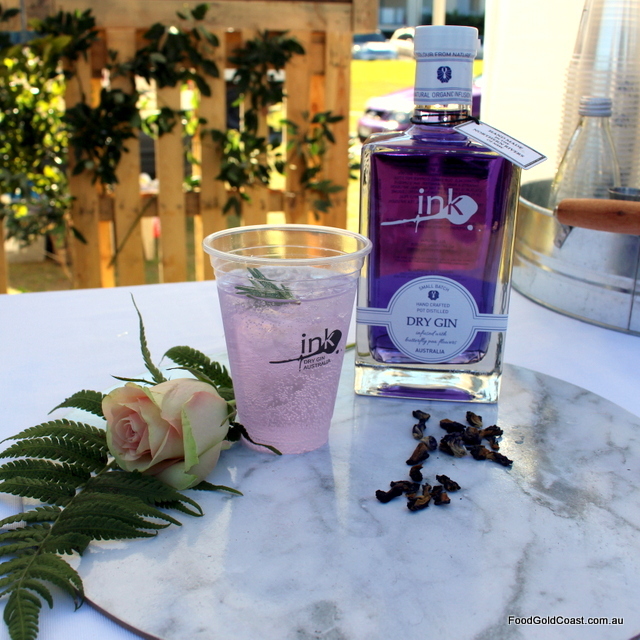 Pot distilled in small batches in a hand-beaten copper still, Ink Gin gains its gorgeous purple hue naturally through the infusion of the exotic butterfly pea flower. Subtle and very smooth on the palate, Paul serves his gin with Australian Capi tonic. Ink Gin is available at Capri Cellars (at Capri on Via Roma) and at Dan Murphy’s stores Australia wide. Husk Distillers joins Pickled Pig Brewery as one of the region’s few craft alcoholic beverage producers. 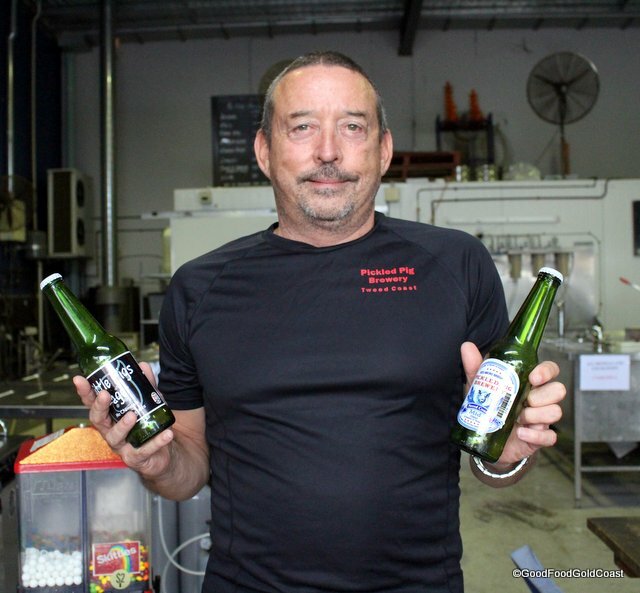 Located in Tweed Heads, Pickled Pig’s specialty is making chemical-free, preservative-free ‘no hangover’ beer. Pickled Pig wholesales to some of our best restaurants with personalised beer and labelling to specification, but there’s another side to the business which is quite surprising: personal customers and even a Brewing Club. 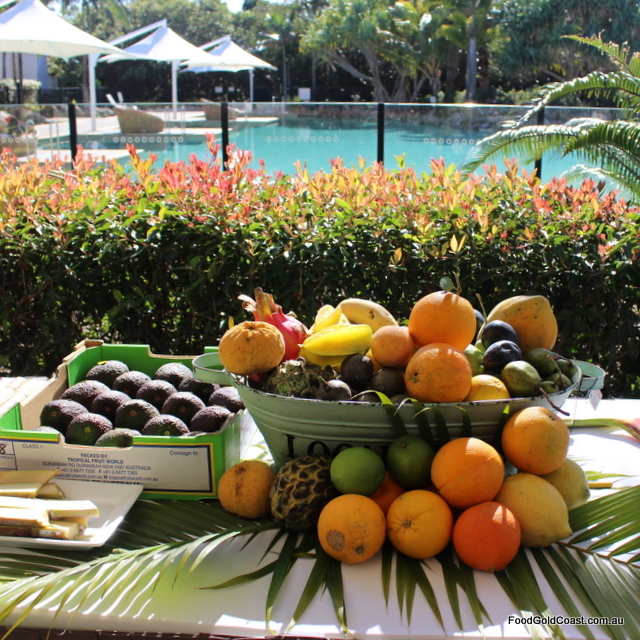 Tropical Fruit World, one of the festival’s sponsors, is a major supplier of tropical fruit to the Gold Coast. Begun in 1983 as Avocadoland by Bob and Valerie Brinsmead, Tropical Fruit World (as it’s been known since 1996) now grows 500 varieties of fruit, some of which it markets to Asia. The major local producer of dragonfruit, or pitaya, so popular on the Gold Coast, the farm is also a major tourist destination in its own right, with over 75,000 tourists visiting annually. Take a journey through the orchards followed by a fruit tasting. It’s well worth a visit! Tens of thousands of locals took the opportunity to attend [email protected], a two-day event featuring over thirty food trucks and producers who regularly sell their produce at special events and regional farmers’ markets. 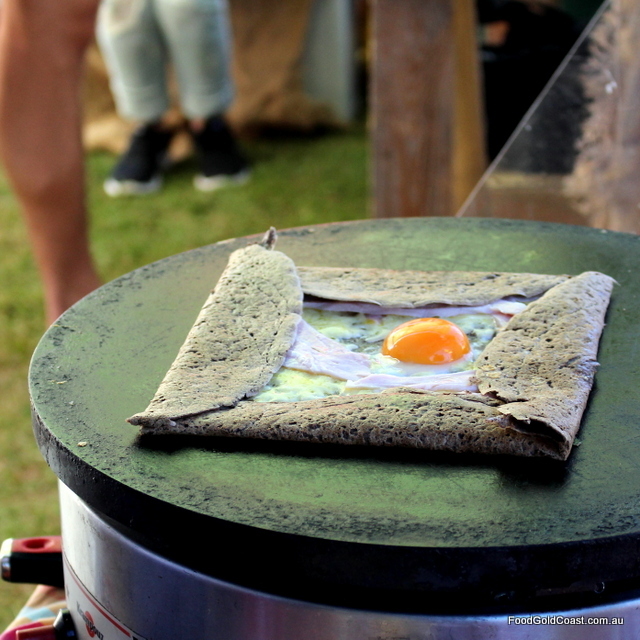 One of our favourite market foods is the traditional galette, or buckwheat pancake from Crêpes Bretonne. Incredibly, buckwheat galettes date back 800 years. A fruit seed (not a grain) brought to Europe by the crusaders, buckwheat flourished in the barren soils of Brittany. As buckwheat flour was unsuitable to make bread, it was not taxed by the king! ‘Hurrah!’ said the revolutionary Bretons, and so galettes have been their basic meal for centuries. Although we had been introduced to buckwheat previously through Japanese cuisine (soba noodles), the owners of Crêpes Bretonne, Sandrine Mendy and Damien Pigot, were the first to bring galettes to the region. Though they came from neighbouring regions of France (Brittany and Normandy), Damien having trained in a Michelin star restaurant before coming to Australia, the couple only met at the Kirra Kite Festival. 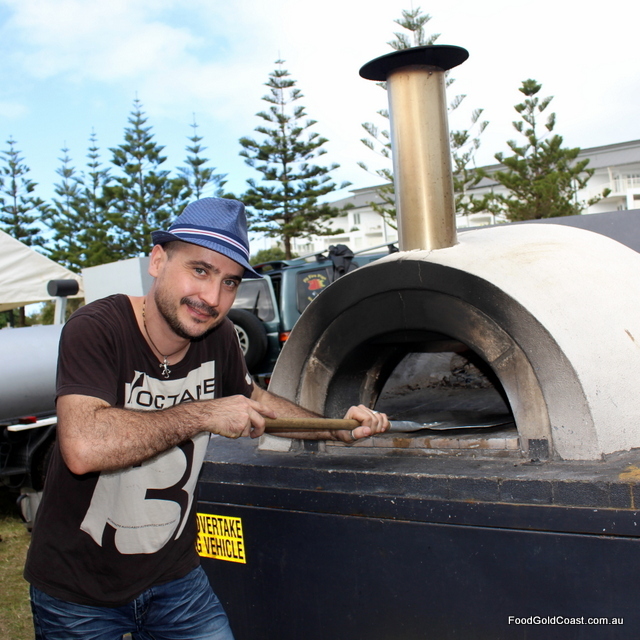 Soon after, using his grandmother’s recipe, Damien began cooking traditional galettes at markets before they opened their shop, 3 Sea at Tweed Heads, over two years ago. 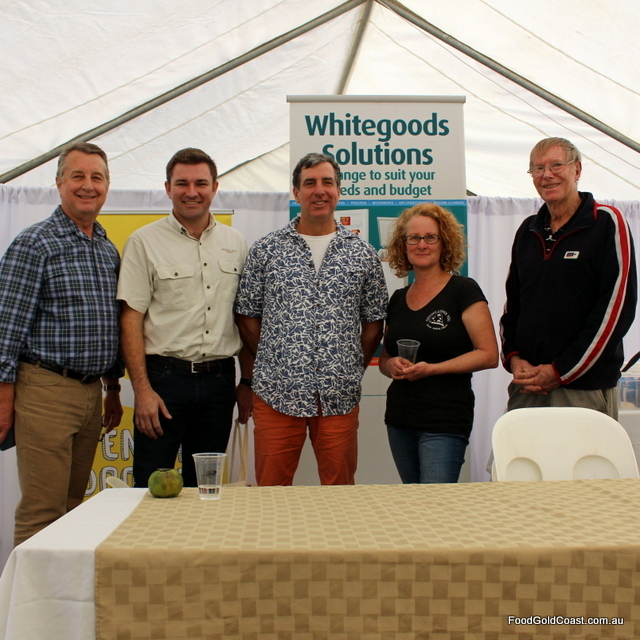 The nutritional attributes of unbleached buckwheat (gluten-free and high in protein) have led to higher demand, so the couple have recently diversified their product range to crackers, cereal, nachos, lasagne and cereal balls, which they sell wholesale to cafés as well as at the Kingscliff Farmers’ Markets. Every Saturday, a mini French festival takes place at the 3 Sea shop, when Murwillumbah-based Love in Blossom, comes to visit. French patisserie maker, Benjamin Leonardi’s journey to Australia began as a love story. Working as an engineer on board superyachts at Monaco, he fell in love with the Aussie cook on board, Stephanie. Fast forward to 2012 when the new couple came to Australia to start a family, falling in love with the Northern Rivers lifestyle, its fresh produce and local community spirit. 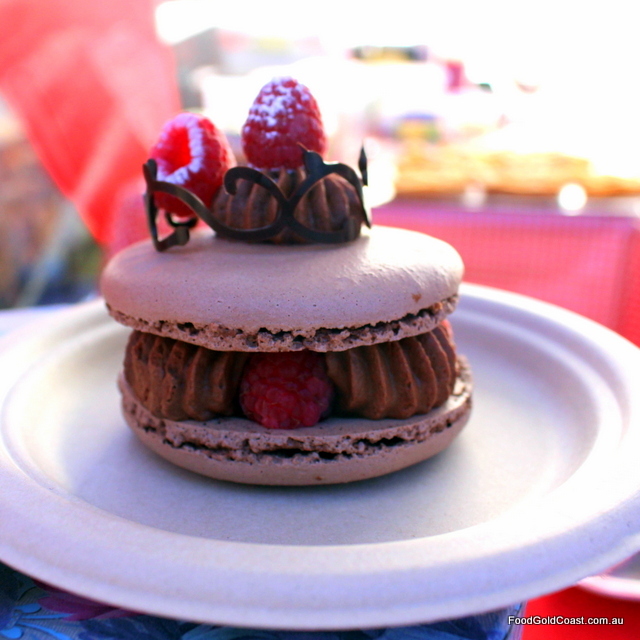 Despite recently opening their business and Ben being largely self-taught, the couple’s Chocolate macaron won Champion of all biscuit and pastry categories of the 2016 Sydney Royal Fine Food Show. Their eclairs, macarons, lemon meringues, Danish scrolls and croissants are sold at markets throughout the region, and the pair also take catering and event engagements. The owner of another food truck, Gunter’s Flammkuchen, Gunter Ehmann, fell in love with flammkuchen (pronounced flam-koo-kin) as a child. Growing up in Germany’s Black Forest area close to the French border, his family did not have a lot of money. 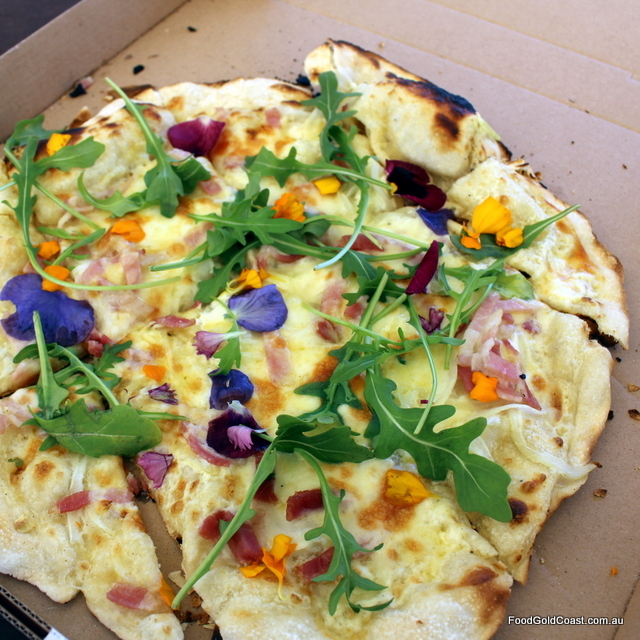 What they could enjoy as a treat, though, was crossing over to Alsace on a holiday to eat Tarte Flambé as it’s known in France (also known as Flammkuchen or ‘Flame Cake’ across the border). Historically, Flammkuchen was a rolled out piece of dough similar to pizza topped with only a few ingredients, used to test whether the oven was hot enough for the baker to bake bread, however it soon became a dish in its own right. Sold for only a few dollars, it was enjoyed by families or groups of youth and adults accompanied by beer and always eaten in a group. Married to an Australian, Gunter worked as an engineer in the mines of Western Australia before settling in the Northern Rivers area as a life change. He always loved cooking, turning his hobby into a business in 2015. Using local cream from Baranbah and speck from local suppliers (Salumi Australia or the All Natural Meat Company) he caters for events and markets on the Northern Rivers, Gold Coast and Brisbane. Try the Original Flammkuchen topped with crème fraîche, yummy bacon, onion and cheese. Fabulous! 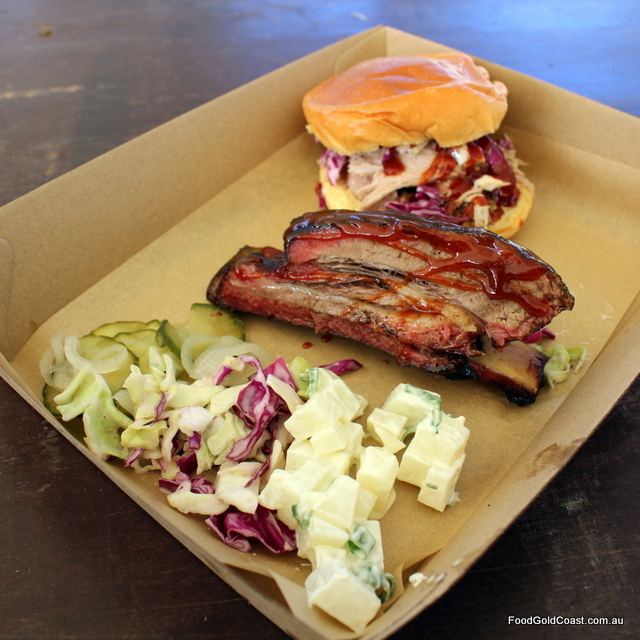 Pit Fire Pigs is another fledgling business cooking slow smoked BBQ meat, corn and potatoes. Tony Sullivan, who owns the business with Sharif Daley, began cooking on a little kettle BBQ at home and for parties, progressing to a rotisserie, then to pit barbequing. Helping out his friend Jeremy, a Texan, in BBQ competitions around Canberra inflamed Tony’s desire to build his own business. When Jeremy retired, Tony and his friend Sharif bought his custom-built smoking pit trailer, moved from Canberra to the Tweed/Gold Coast area and began their business! 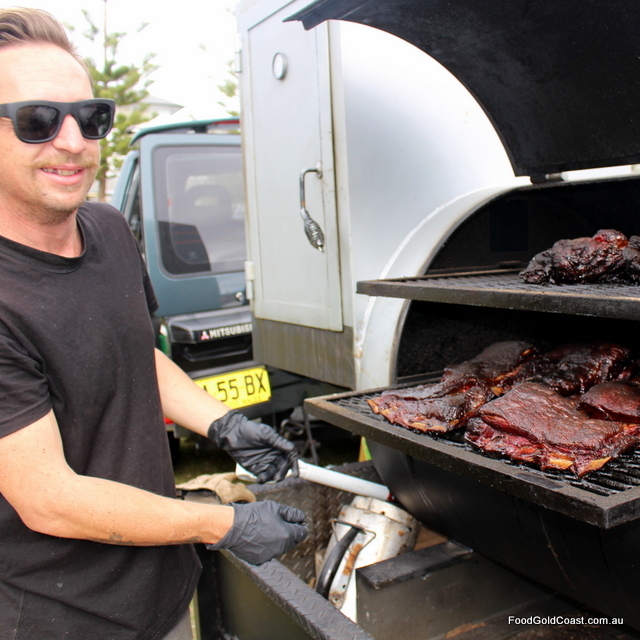 Crafted from 6mm steel, it’s a serious pit trailer large enough to cook two whole pigs to easily feed 250 people for parties, events and markets. An artisan cheesemaker based near Murwillumbah, Debra Allard describes herself as a city girl who married a passionfruit and banana farmer. Falling in love with cheese making, Debra holds classes and pursues her craft with passion, recently travelling to Italy and France to learn more about cheese. The Allards have now started dairy production with a herd of jersey cows to have more control over their milk and, with the opening of their own cheese factory, have increased their production from 400 litres per week to 500 litres per week! Preservative free, Deb’s cheese is made to be consumed within a few days. Cheeses Loves You cheese is sold at Uki and Mullumbimby Markets. Deb says it’s a viable way to sell her products. Farmers’ Markets provide a great way for us to get in touch with our farmers as the producers of our daily food, farm gate less so (except during a regional festival week) because of the interruption to production. 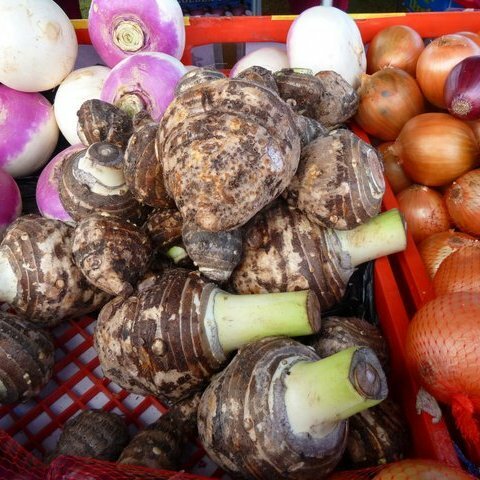 It’s all a matter of training people to shop at farmers’ markets, Deb says. Many farmers said that although farm gate stalls were a fabulous option for sales, they could not afford the time to man the stall. 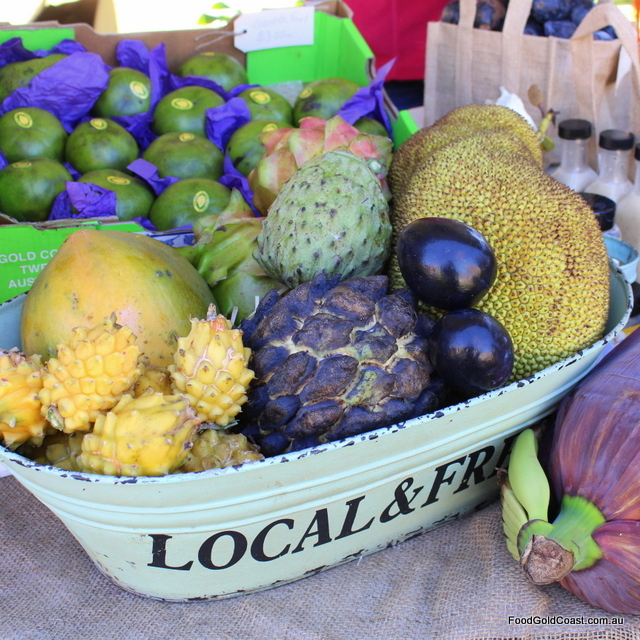 Farmers’ Markets are held in the Tweed/Northern Rivers area from Tuesday to Saturday, and on the Gold Coast on Saturday and Sunday.